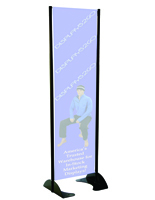 Could your business benefit from weighted base banners? 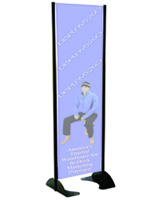 Our selection of outdoor adjustable signs are available in portable or fixed styles. 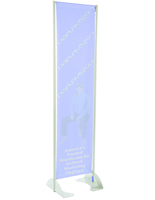 Water base weighted base banners are a highly sought after means of sign advertising since they can be moved from location to location with ease. 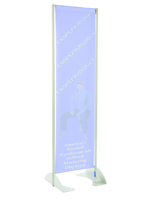 Our selection of permanent base signs come in a wide variety of heights and widths. 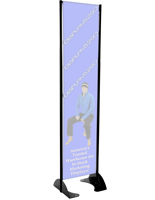 These weighted base banners, also known as outdoor portable signs, can be filled with sand or water and are ideal for many different businesses as they accept custom designed advertisements. 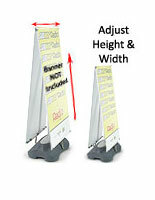 The fixed sign frames come with permanent screws which are designed to be sunk into asphalt, concrete or other similar locations. 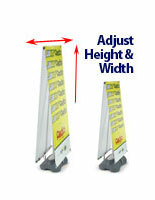 What locations are best suited for these outdoor sign holders? 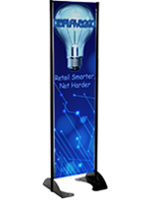 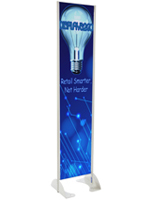 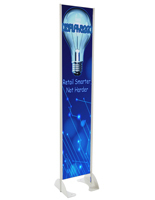 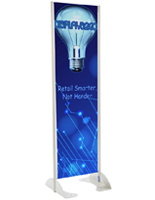 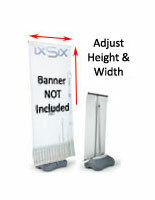 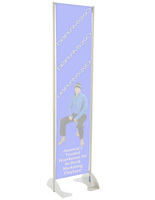 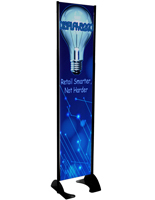 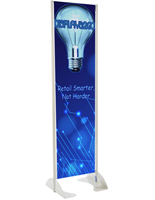 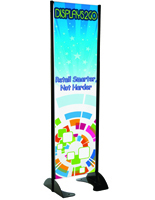 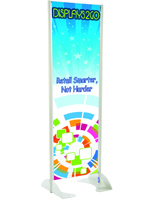 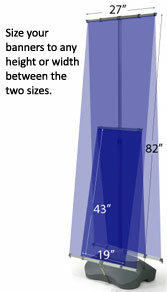 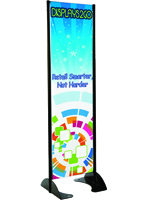 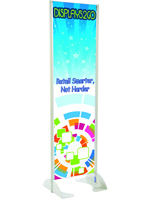 Weighted banner stands are most commonly used directly outside of a palce of business to draw-in foot traffic. 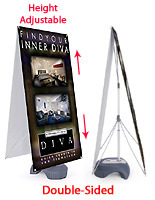 Fixed signs are most commonly used in locations like gas stations or the entrances to shopping malls. 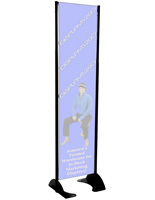 More creative locations for these outdoor sign holders would be in a parking lot for directional or way finding use. 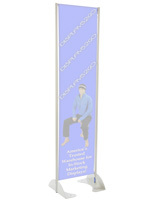 The sand/water fillable base signs can also be highly effective when used indoors as well. 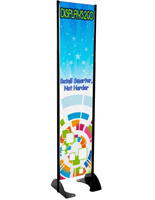 With the vast majority of the sign holders we sell, we also offer full color custom digital printing. 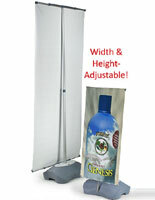 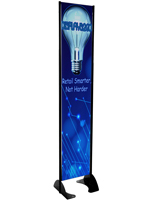 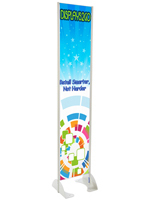 These outdoor banner stands are assembled with long-lasting materials that are designed to brave the elements. 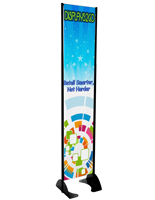 Unlike other trade show displays and custom-built flags, these outdoor banner stands resist fading and weathering for longer periods of time. 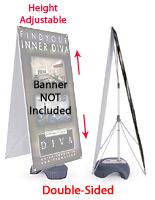 After a year of continual use outdoor banner stands will show little or no fading and wear. 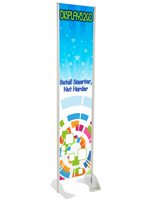 Although these event flags are marketed specifically for outdoor purpose, they work equally effective indoors as well.